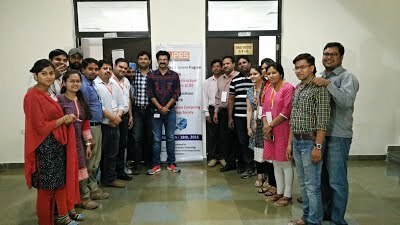 We have organized a Faculty Development Programme on Cloud Infrastructure and Services held on 16th - 18th May 2016 at Centre for Information Technology, University of Petroleum & Energy Studies, Dehradun (India) in collaboration with Next Generation Computing Technology Society, Dehradun. The aim of this event was to train the CIT faculty members with technologies required to build classic, virtualized and cloud data center environments. In addition, the focus areas were backup/ recovery, business continuity, security and management. The speakers, from EMC2 , were trained and expert personalities, having rich experience in cloud technologies.